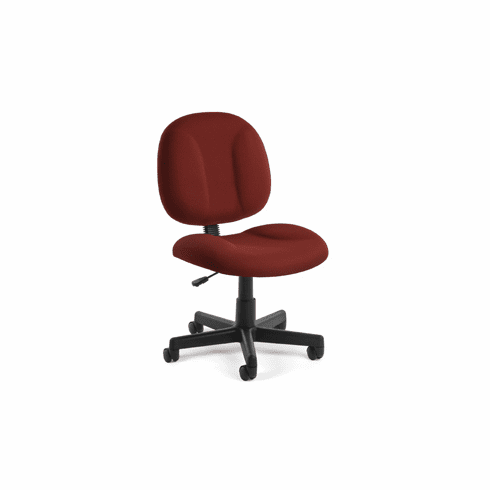 Task Chair Stocked in Wine, Gray, Navy, Black, Taupe! 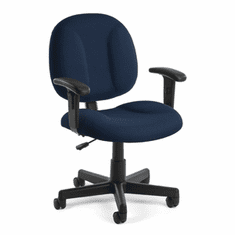 Here's a task chair that is economical yet will stand up to a lot of tough use. Comfortable high density foam seat and back. Gas lift height adjustment. Backrests adjusts up and down and forward/back. This is an office chair priced for anyone's budget. Seat is 21"W x 19"D. Back is 19"W x 17-1/2"H. Seat height is 18" - 22". Measures 21"W x 23"D x 35" - 39"H overall. Shpg. wt. 28 lbs. PRICE INCLUDES SHIPPING! IN STOCK!